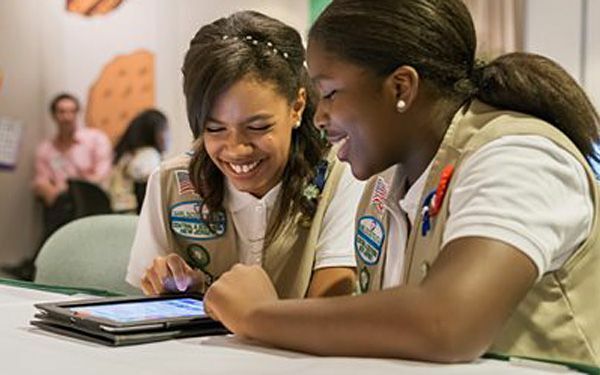 The Girl Scouts are going digital to sell you cookies. "Girls have been telling us that they want to go into this space," said Sarah Angel-Johnson. She is chief digital cookie executive for the organization. It covers about 2 million girls. "Online is where entrepreneurship is going." Now the cookies can be shipped directly to your doorstep. More than 1 million scouts were expected to opt in as cookie-selling season begins this month. Digital sales are intended to enhance, not replace, the paper spreadsheets. They have been used to generate an estimated $800 million in cookie sales a year. Cookies cost anywhere from $3.50 to $5 a box. There are important e-lessons here, scout officials said. They include tracking goals, learning to handle customers and money in a new way, and more efficiently processing credit card information. "A lot of people have asked, 'What took you so long to get online?' said Kelly M. Parisi. She is chief communications executive for Girl Scouts of the USA. Councils were offered one of the two platforms but not both. For web-based sales, scouts customize their pages. They use their first names only, and email prospective customers with links to click on for orders. They can also put up videos. "They can get them quicker than waiting for me to deliver them because sometimes it takes me a long time to deliver," offered 11-year-old Priscilla. The adults at a preview event asked that only first names of scouts be used. Added 7-year-old Anna: "My favorite part is that now I can sell more Girl Scout cookies." She pulled down about 200 boxes last year. This year, she has upped her goal to 600. Girl Scouts use their cookie money to pay for community service work or troop activities such as camping and other trips. The websites will not be accessible without an email invitation. They will require the girls to build client lists. And personal information is as protected as any digits out there, for both the scouts and customers. Critical thinking challenge: Why do you think it took Girl Scouts so long to start selling cookies online? Because we did not have the technology that we have today to sell cookies online. I like that they did this though because now they can sell more cookies. I think it took them so long to get online because some people may like the traditional way of asking people to buy cookies at a stand or in person instead of doing it online. I know when I was a girl scout I liked selling it in front of busy stores where people could buy them and selling to family members. but I think there are still people who would rather do it that way instead of online which could be why it took so long to get online. 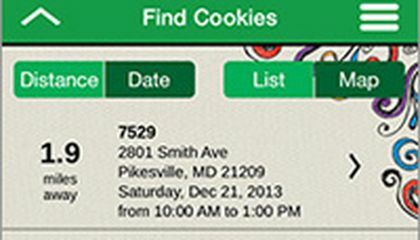 In the article it talks about how girl scouts are trying to sell there cookies through a digital app . I predict selling cookies online and in person will get the scouts more sales. I also predict that with these extra sales they will be able to use the fundraiser money to do stuff they couldn't do before with there fundraiser money. That means maybe more camping trips and other fun things. The person who came up with the online cookie sales was a pure genius I think. I think this is great because everyone loves girl scout cookies (me especially) and it gives them the opportunity to get them faster and they don't have to do a whole lot. That's cool that girl scout are going to sell cookies using technology. I wonder what cities it will affect? Maybe my town will be one of them. I probley to girl scouts so long because, people do not know about it yet. Second, they probley don't like girl scout cookies or they don't really care. "The websites will not be accessible without an email invitation. They will require the girls to build client lists. "-Selling Girl Scout cookies? There's an app for that. I don't get it what if you want some cookies but don't know a girl scout to ask?